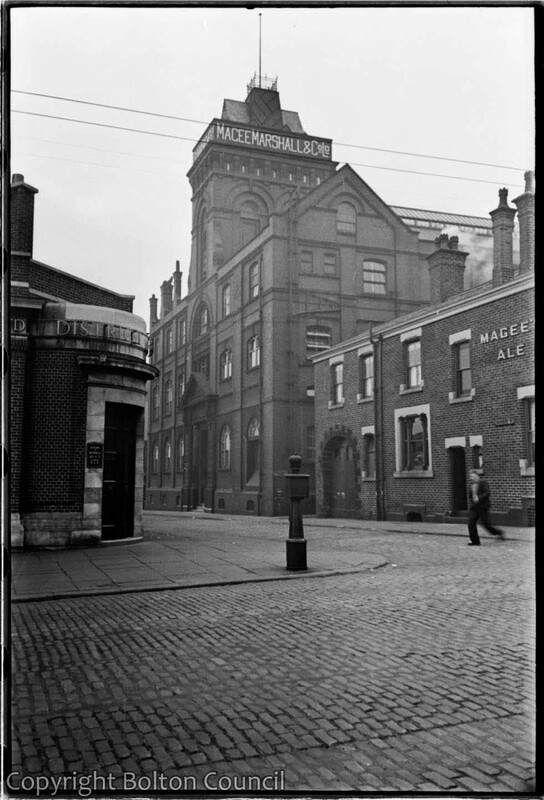 Magee Marshall and Company ran this brewery and adjoining pub. The building at the front left of the picture still exists and is a bank. The Crown Hotel was always a busy spot. The locals always boasted the freshest beer in town. The locals said that Magee Marshall piped it in from the vat itself. Not true, but I am sure the legend got its legs from the regular crowd. Back in the early 50’s MM still used hay burners and drays and some lorries. But they had a full flight stables. People, particularly victory garden folks, would always be scooping the hay burners poop for fertilizer. From my back bedroom window I could peer right in and watch the heave-ho of the personnel. No lazy lowts in that group! God Bless those Magee Marshall’s folks. There ain’t many of them to a pound.